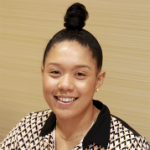 In her current role, Milan Sledge is responsible for providing targeted policy and technical assistance that builds member organizations’ capacity and empowers them to reach their goals regarding equitable urban revitalization and community development. She spearheads several of the network’s county-based advocacy teams, and provides training on topics such as foreclosure issues, vacant and abandoned properties, and neighborhood revitalization. Prior to joining the network, Ms. Sledge worked as a community organizer for the statewide campaign Pre-K Our Way, and advocated successfully for the expansion of high-quality preschool for 3- and 4-year-olds across New Jersey. She also previously interned at the office of U.S. Senator Charles Schumer.